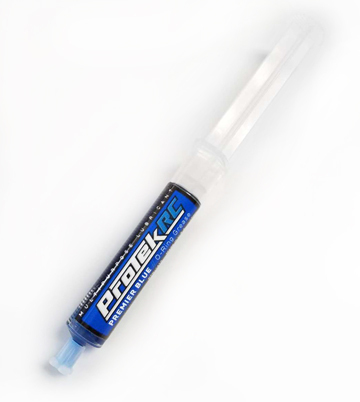 This 10ml syringe of ProTek R/C “Premier Blue” O-Ring Grease and Multipurpose Lubricant is a deluxe o-ring grease that provides exceptional sealing, lubrication and stiction-free performance for suspension parts, bearings, bushings, pivots, as well as any other linear movement applications. 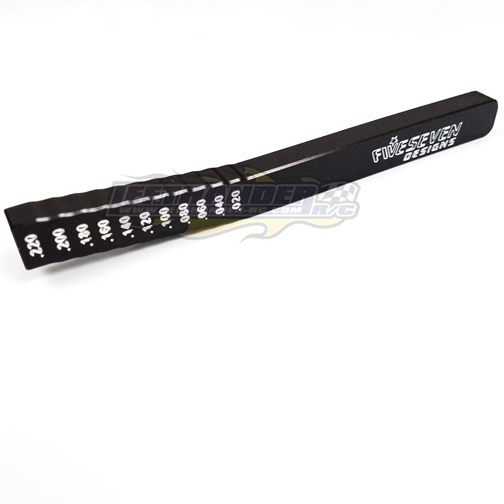 It features a specially-formulated mixture of additives that won’t cause seals or o-rings to swell or deform, and it features unparalleled sticking power to last for prolonged performance. Reduced Drag & Friction Using a specially-formulated mixture of additives, Premier Blue won’t deform seals or o- so they always retain their shape and size. Premier Blue also impregnates the pores of the surface for a deep lasting coat of smooth lubrication. Lasting Surface Protection Premier Blue special formulation provides a layer of protection that is excellent at resisting corrosion and oxidation. Additionally, Premier Blue also provides a waterproof layer for long-lasting smooth performance when things get wet.